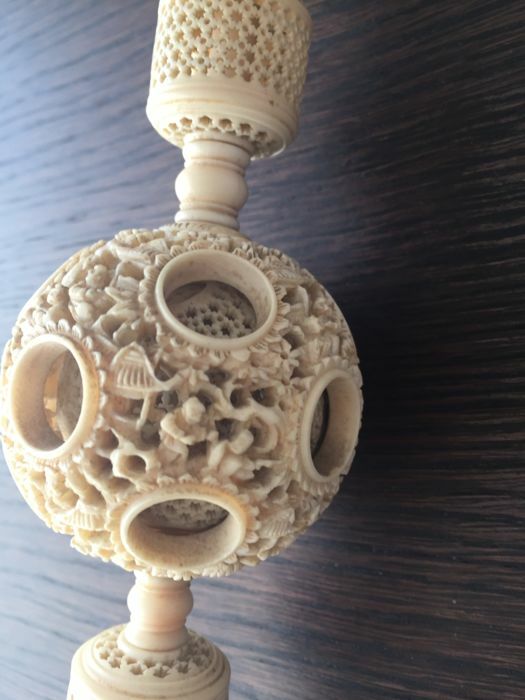 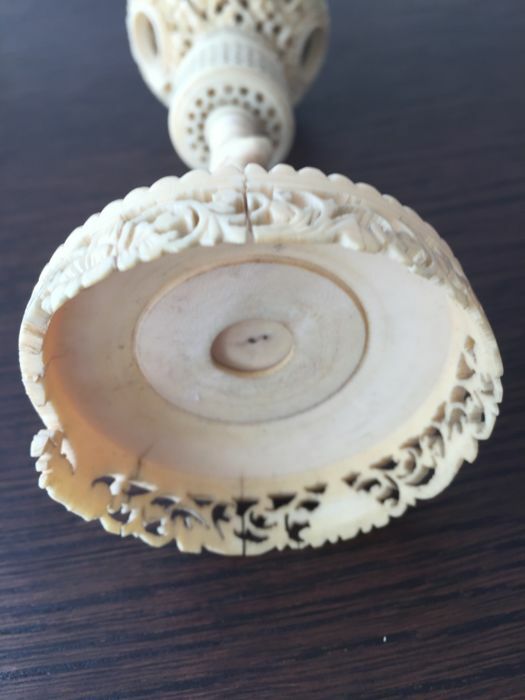 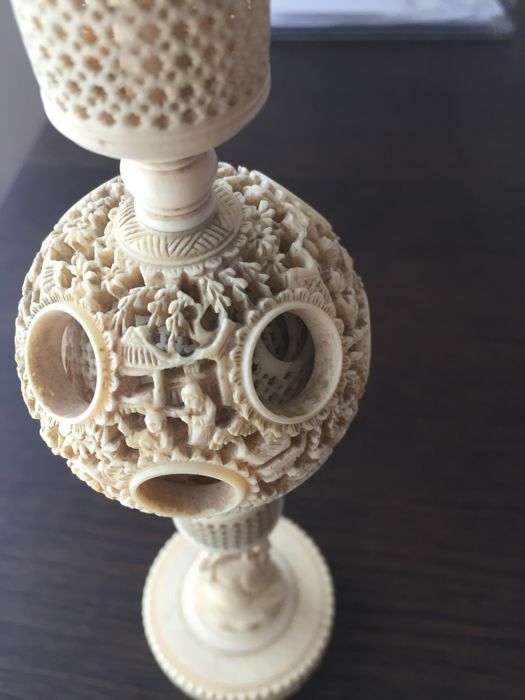 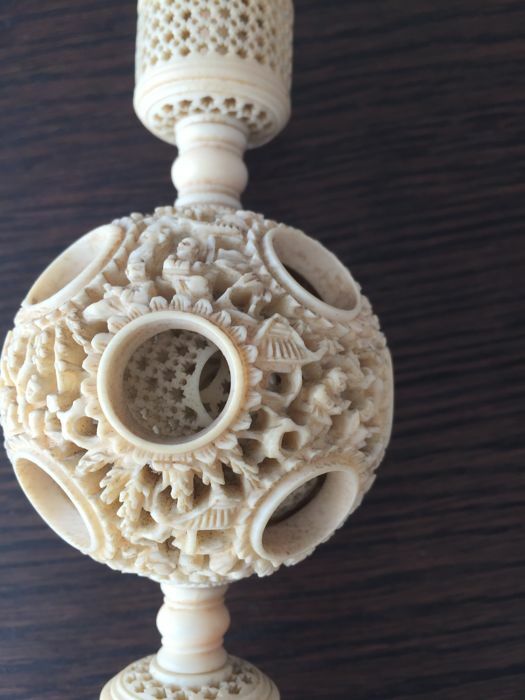 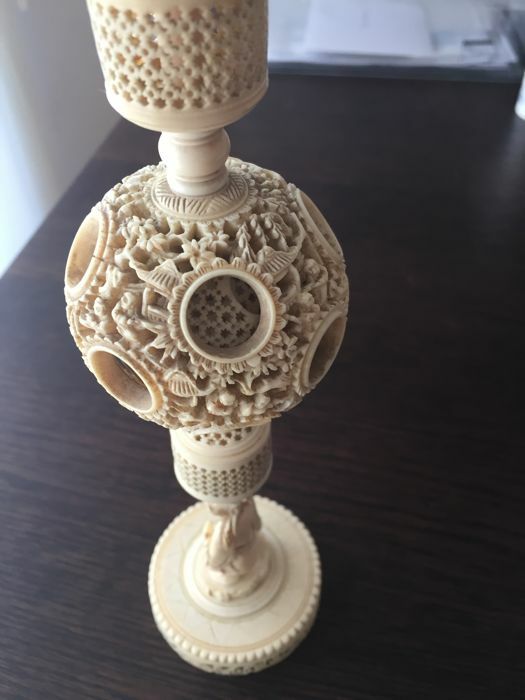 Cantonese Puzzle ball in ivory China, 19th century. 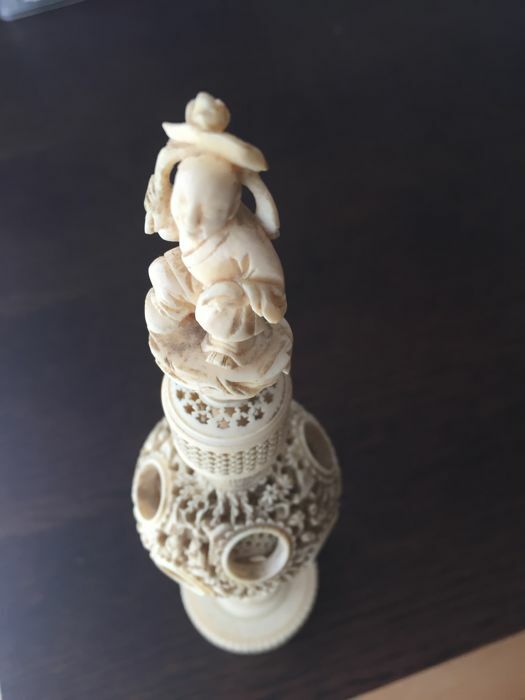 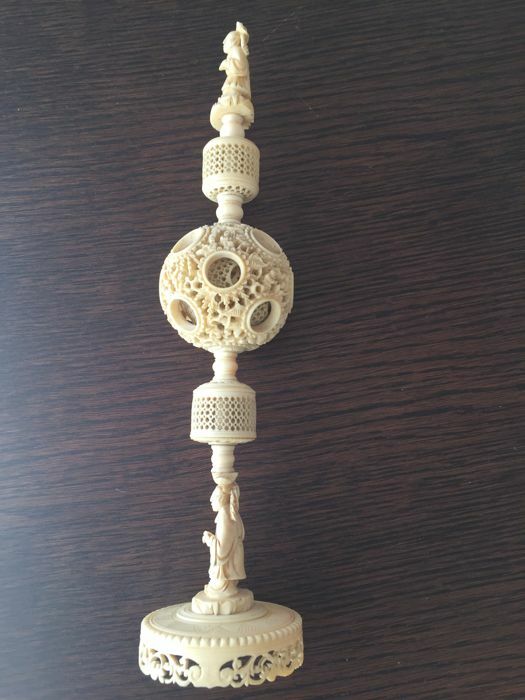 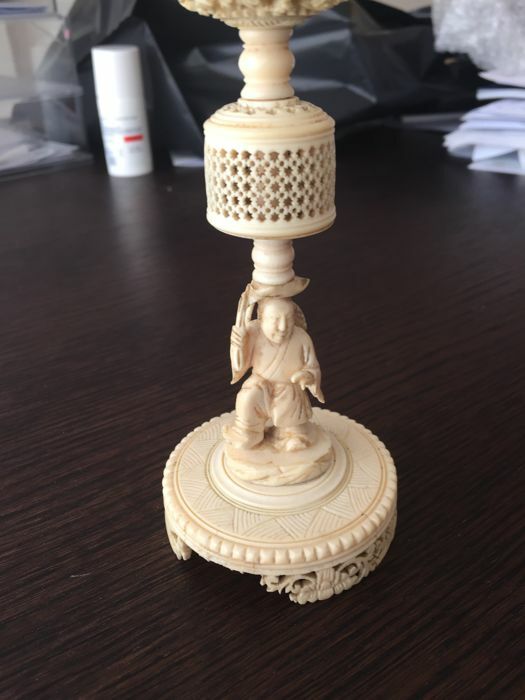 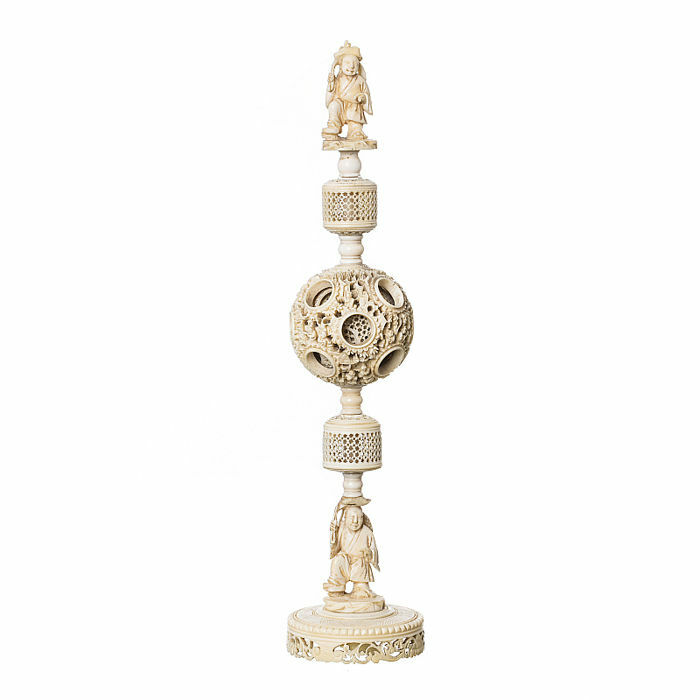 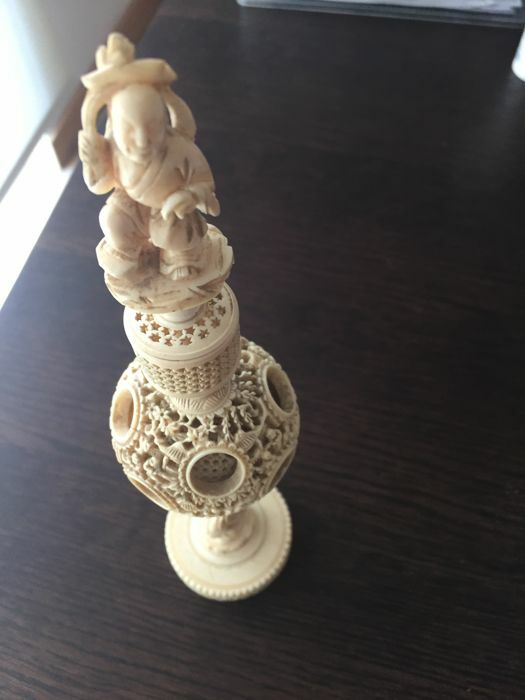 A happiness ball in ivory carved in the Cantonese workshops with a figure on the top and on the base. 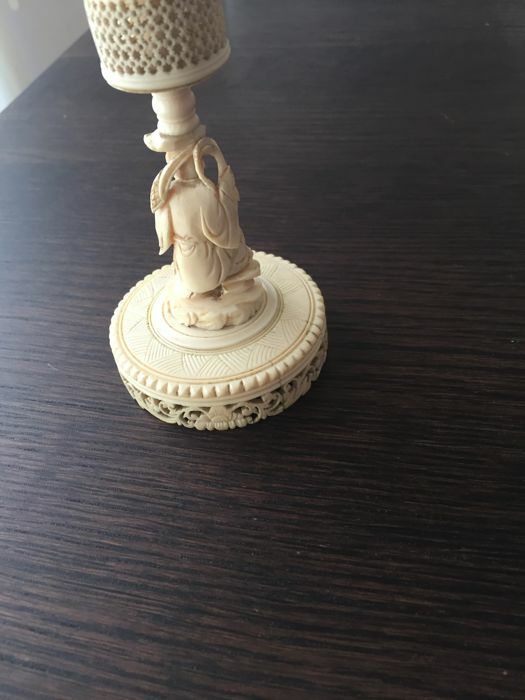 A little defect on the base with a missing part. 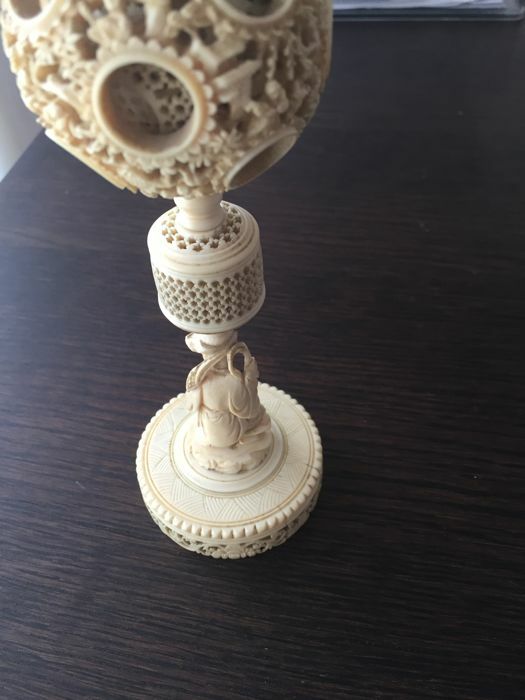 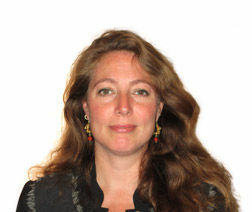 See pictures. 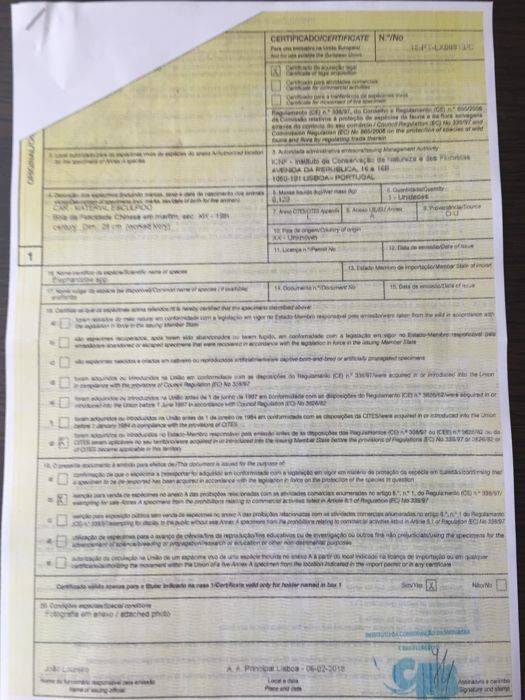 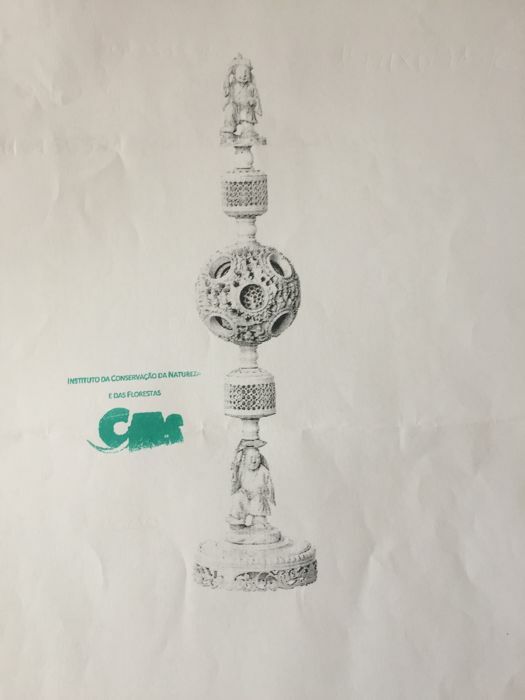 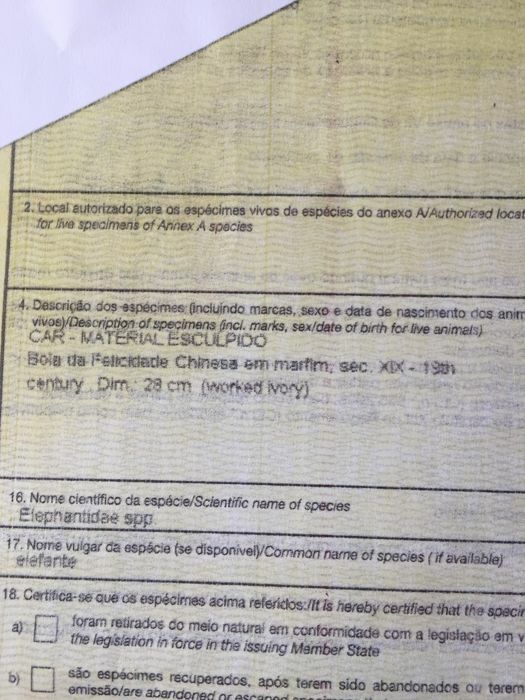 You can pick up this lot from the seller: Leiria (Continente), Portugal.